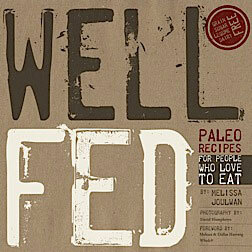 I’m excited to announce the release of my new Well Fed magazine. Isn’t she pretty? 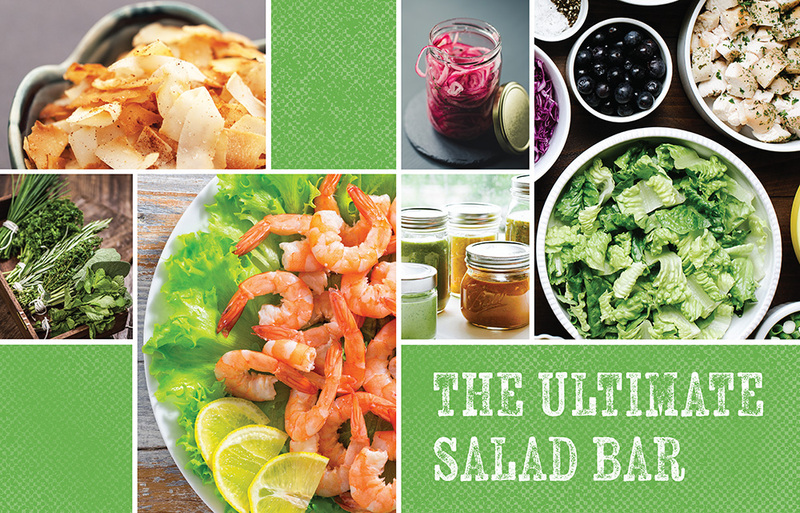 It’s a “greatest hits” compilation of all of the salad recipes and tips from all three Well Fed cookbooks, PLUS more than a dozen new recipes—including Sushi Bar Tuna Salad, which might be my new favorite. The magazine is on sale now—in the checkout lane!—of every Whole Foods store in the United States. 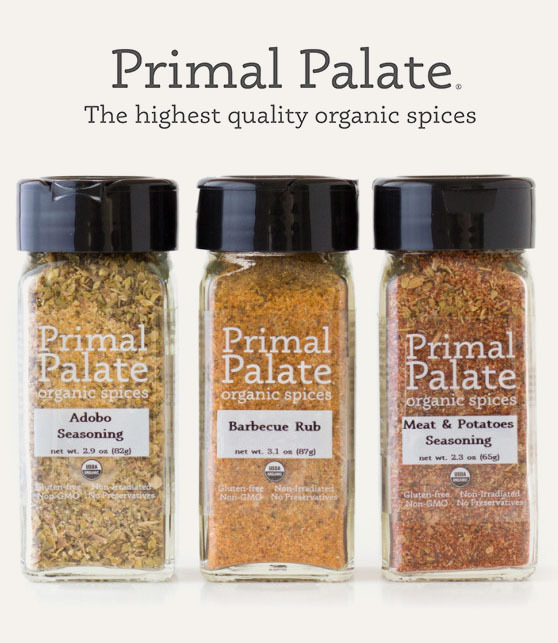 Plus it’s in other food-lovers’ grocers like Sprouts, Mrs. Green’s, Balducci’s, Fresh Market, Natural Grocers, Earth Fare, and indie co-ops, as well as Barnes & Noble, Sam’s, and Costco. And you can buy it in my web store! Heads up! 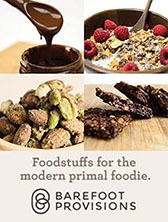 If you already own the Well Fed cookbooks, you already have most of the recipes and info that’s in this magazine. But if you’re hot and sweaty and excited about summer salad season, this is a nice way to have all the fresh, bright recipes in once place—and there are more than a dozen new exciting recipes to add to your regular rotation. Breakfast salads! All new ideas for delicious, easy, satisfying ways to eat salad for breakfast. 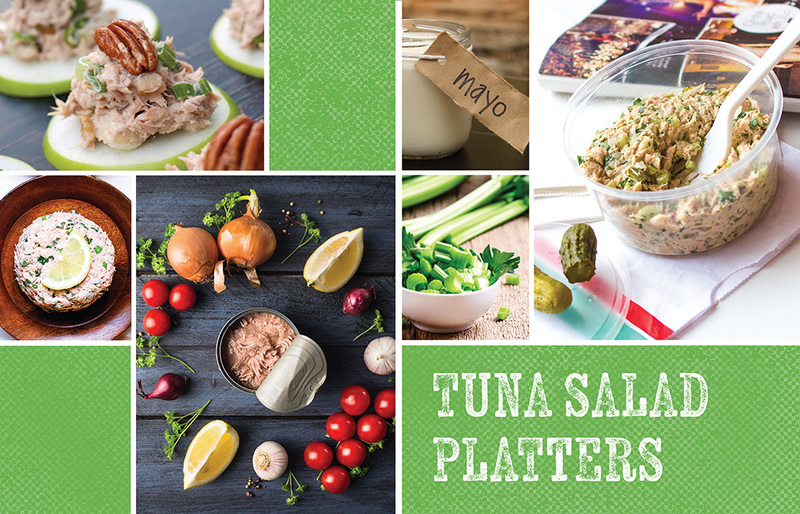 Tuna Salad Platters! 14 tuna salad recipes, including a new recipe for (luscious!) Sushi Bar Tuna Salad. The Ultimate Salad Bar! All of the super-handy info from Well Fed Weeknights, plus new recipes for salad toppers, including Pickled Onions, Everything Bagel Blend, Buttery Almond-Flour Breadcrumbs, Marinated Olives, and more—plus dozens of creamy (dreamy) and vinaigrette-style dressings. 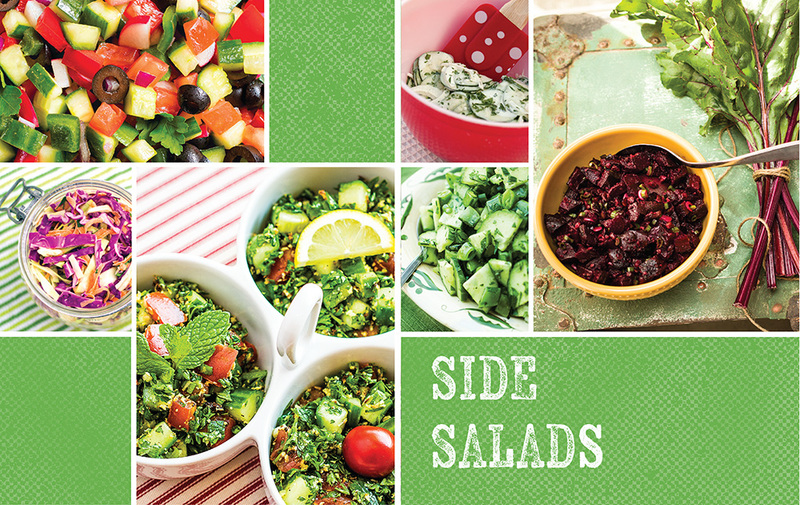 Side Salads! 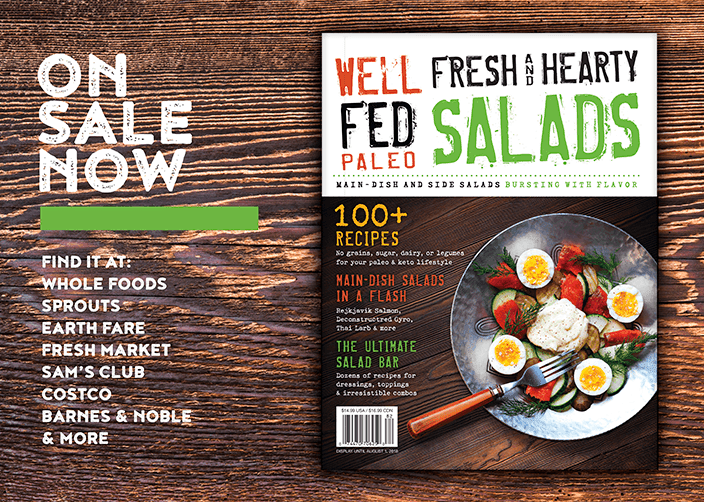 All of my favorite side salads from Well Fed and Well Fed 2, plus new recipes that have never appeared in a book, including Muffaletta, Sesame Slaw, Herb Rice Salad, Snap Peas with Mint & Pistachios, Hot Zoodles/Cold Sauce, and Bacon Potato Salad. 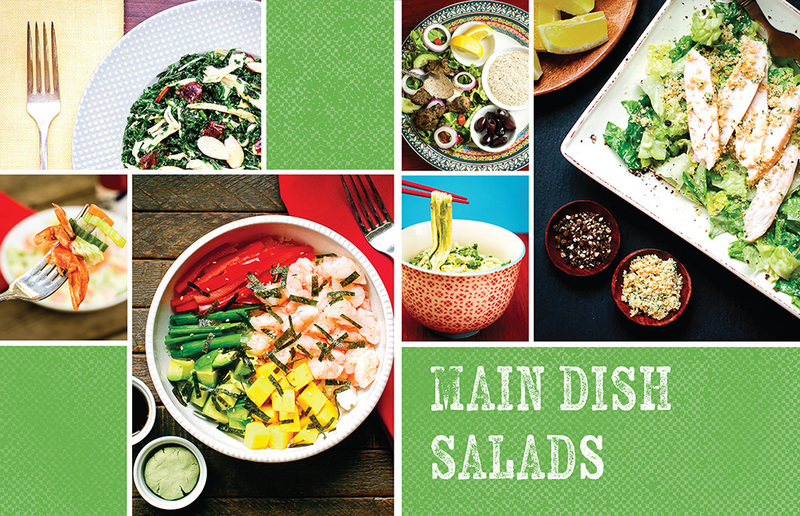 Main dish salads! Lots of favorites from my cookbooks, plus new recipes, including Thai Satay Plate, Sweet Umami Shrimp Salad, Italian Steak Salad, Tarragon Chicken Salad, and Thai Larb. As always, I’m very grateful to our design partner Michel Vrana who always takes my ideas and brings them to life in a way that’s even more beautiful than I imagined. By day, Michel is primarily a (kickass) book cover designer, and he has been a vital member of our team for years. He designed our first magazine back in 2015, Well Fed Weeknights, Well Fed 30-Minute Paleo Recipes, and this magazine. I would be lost without his excellent taste and eagle eyes. Buy your copy now in my web store! Hello! I’ve purchased a magazine of yours, “Fresh and Hearty Salads,” and it has been great so far! I do have two questions about one recipe that I am considering making. “Reconstructed Gyro” sounds amazing! (1) Usually the non-dairy sauces for this type of dish are made with tahini. Why have you chosen to make the sauce as a homemade mayo instead of with tahini? (2) The market where I can get lamb is only selling lamb shank right now (not lamb shoulder stew meat). 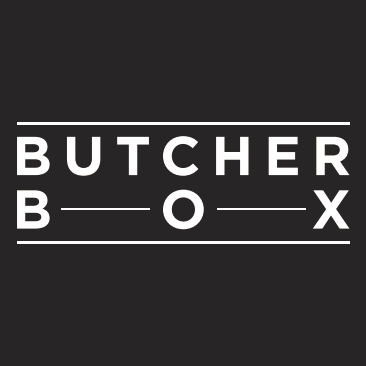 How would you recommend cooking this recipe with whole lamb shank? Thank you so much! I look forward to your answers!!! Happy to answer your questions—thank you for buying our magazine! (2) This is trickier as shanks include bones and are usually braised in a sauce to make them tender. I did not test my recipe with lamb shanks, so I can’t give you a 100%, this-will-work recipe. However, this one looks pretty good: https://www.dimitrasdishes.com/recipes/roasted-lamb-shanks You could use this recipe, remove the meat from the bones and shred it, and then proceed with my Deconstructed Gyro recipe. 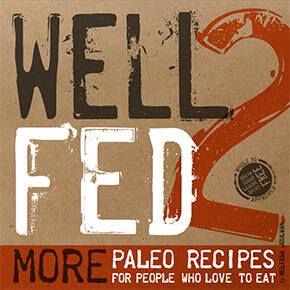 Melissa I recently bought your cookbook Well Fed and two of your magazines – Well Fed Paleo and Well Fed 30 Minute recipes. I have made several recipes and have loved each one. 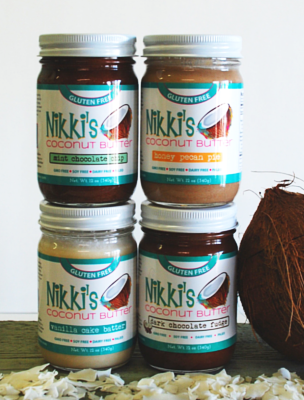 I’m getting so into coconut milk. Anyway I noticed in your cookbook the recipe for your Olive Oil Mayo is rather involved compared to your Olive Oil Mayo recipe in your 30 Minute magazine. For example you want us to bring the egg and lemon juice to room temperature whereas in the 30 Minute magazine you just whip it all together. Is there really a difference in the method or how the mayo will taste because you are using the exact same ingredients and quantities. Thank you in advance for your response. Thank you for buying our book and magazines—you’re all set for some fun cooking! The original mayo recipe was written for using a traditional blender or food processor, and that kind of required the fussier directions. If you use a blender or food processor, use that method. If you use a pint-size Mason jar and a stick blender, you can basically just plunk the ingredients in the jar and whirl. That’s it! If you want to be extra-careful, you can place the egg, 1/4 cup oil, salt, mustard, and lemon juice in the jar and blend, then with the blender running inside the jar, drizzle in the rest (1 cup) of the oil. Let me know how it goes! I LOVE this magazine! We’ve been making salads from it all summer! 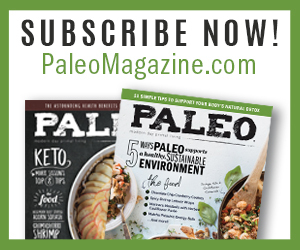 I bought three extra copies, and have given away two, one to a couple who are brand new to paleo, doing their first Whole 30, and this was a huge blessing to them! Thank you, Melissa! I forgot to let you know my mayo turned out perfect using the stick blender. So creamy. For me I think I will add a little more salt next time. Today I made your Meat and Spinach Muffins. My concerns are I measured out the 4 cups of very well squeeze spinach and had almost four cups leftover. Did I not squeeze out enough water? Also I baked for 40 minutes and they got very dry and crispy on top. The inside was still moist. They tasted very good. I ate two very quickly. Any advise will be appreciated. Also my husband and I loved your chocolate chili. He is the chili maker in the family and I can honestly say he liked your chili better. 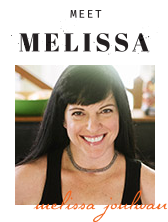 Thanks Melissa your recipes are wonderful. I’m glad the mayo worked out for you—and that the Chocolate Chili is a hit! Re: the spinach muffins. You use ALL the spinach in the recipe—you shouldn’t have any left over—but you squeeze water out of it so that when it’s dry-ish, there’s about 4 cups, give or take. Does that make sense? Yes it makes sense. I will use all next time. Did I over bake to make the tops dry and crunchy or was it because I didn’t use all the spinach? Next time, try covering the muffins with foil and bake for 20 minutes, then remove the foil and bake for the remaining 20 minutes. That should give them a lightly browned top. Hi Melissa, I just purchased the Instant Pot and want to continue making your fantastic dishes. Could you tell me how I would convert your recipes to cook in the Instant Pot. I guess mostly the cooking times. Better yet, do you already have recipes for the Instant Pot? Thank you Melissa. I will check out the website.